Super 8 Oroville is Located Off Interstate 70 at exit 47. In the Foothills of the Sierra Nevada Mountains and within 10 Minutes of Lake Oroville and the Feather River. Super 8 is also Seven Miles from Feather Falls, close to many museums, wildlife and nature centers, golf courses and historic downtown. 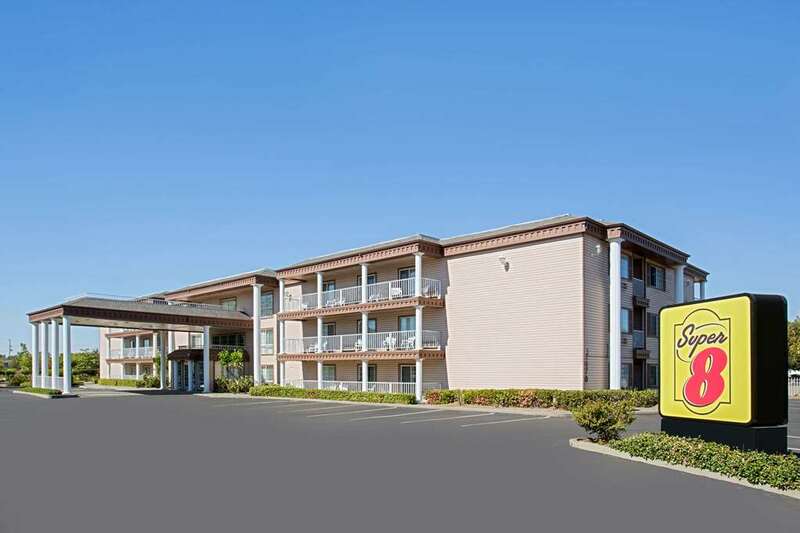 Super 8 Oroville has Free High Speed internet, FREE Continental breakfast, In room Coffee Maker, In room Microwave - Refrigerator, In room Iron/Ironing Board and Cable TV with HBO. Other amenities include most rooms with balconies, Pet Friendly hotel, Outdoor Pool, Spa Tub, Sauna And Fitness Facility. On Site Laundry Facilities, Meeting Space, Truck/Bus Parking And Safety Deposit Boxes. Suites are available. Pet accepted based on availability for a fee per Pet per Day. Contact property ahead of time for pet room availability.